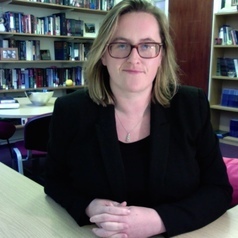 Fiona de Londras joined Birmingham Law School as the inaugural Chair in Global Legal Studies in the summer of 2015, following time as professor of law at Durham Law School and a lecturer at University College Dublin. Fiona’s research and teaching are in the fields of human rights and comparative constitutional law with a particular focus on counter-terrorism. She is a visiting professor at UCD School of Law, adjunct professor at the University of New South Wales (Sydney), and Global Affiliate of the Vulnerability and the Human Condition Initiative at Emory University. Professor de Londras is the joint editor-in-chief of the Irish Yearbook of International Law and co-editor of Legal Studies, the journal of the Society of Legal Scholars of the UK and Ireland. She is also a member of the Executive Committee of the Society of Legal Scholars, and a member of the advisory boards of the Centre for Comparative and European Constitutional Studies at the University of Copenhagen, the UCC Department and Faculty of Law, and the Centre for Global Public Law at Koc University, Turkey. In 2009, Fiona founded Human Rights in Ireland, a collaborative academic blog with a focus on human rights issues in Ireland and on Irish scholarship about human rights theory, practice, law and politics. Professor de Londras regularly appears in print, online, radio, TV and documentary media discussing human rights and comparative constitutional law as well as current affairs more generally. Fiona previously held (short-term) visiting positions at University of Peshawar (Pakistan), Emory Law School (Atlanta, GA), University of Minnesota, British Institute of International and Comparative Law (London), the Transitional Justice Institute (University of Ulster), Osgoode Hall Law School (York University, Toronto), and the University of Oxford (affiliated to Oxford Human Rights Hub, the OMS Human Rights for Future Generations Programme, and Lincoln College). From 2010-2012 she was a research fellow of the Hague Institute for the Internationalisation of Law. In January 2015 she was Genest Global Visitor at Osgoode Hall, as part of which she delivered the Pierre Genest Memorial Lecture.